As noted in a recent study by the nonpartisan Idaho Center for Fiscal Policy, Idaho has actually lost ground in teacher salaries when the numbers are adjusted for inflation. We are 20 percent behind the national average when inflation is factored in. Unfortunately, these recommendations for addressing Idaho’s teacher shortage have not been acted upon. The report was not presented to either of the legislative education committees during the most recent session, and no action has been taken by the State Board of Education to move these proposals forward. Lowering the bar by increasing the number of alternative certifications is not a real solution or a viable long-term strategy. Every student in every classroom deserves a highly trained and well-compensated teacher. Several studies are now telling us roughly the same thing — Idaho has made some progress regarding compensation for professional educators, but we have a long way to go when it comes to investing in public education. The most recent research from the National Education Association shows that Idaho is 43rd among the 50 states and the District of Columbia in average teacher salary. That same research shows that Idaho ranks 50th in per pupil funding. 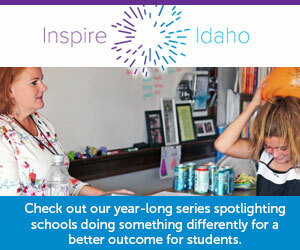 Written by Kari Overall, President, Idaho Education Association.